Here are 12 of the best-known and most popular songs from the hit-making greats of contemporary Christian music. 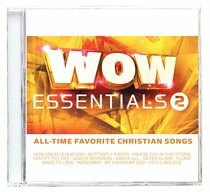 Includes Chris Tomlin's 'How Great Is Our God', Casting Crowns' 'Praise You In This Storm', and Jars Of Clay's 'Flood'. These are the songs that have impacted believers around the globe and have become anthems of our faith. :A dozen enduring favorites that have encouraged believers around the globe and become powerful anthems of our faith! Includes 'How Great Is Our God' (Chris Tomlin); 'Butterfly Kisses' (Bob Carlisle); 'God of Wonders' (Mac Powell and Cliff & Danielle Young); 'Above All' (Michael W. Smith); 'Never Alone' (BarlowGirl); 'Flood' (Jars of Clay); and 'I Still Believe' (Jeremy Camp).